Sporty accessories aren’t supposed to just look good, they should also add something extra to your look! All Second You accessories were designed for active, dynamic women that are looking for a way to express themselves - in their every day but also their sports lives. 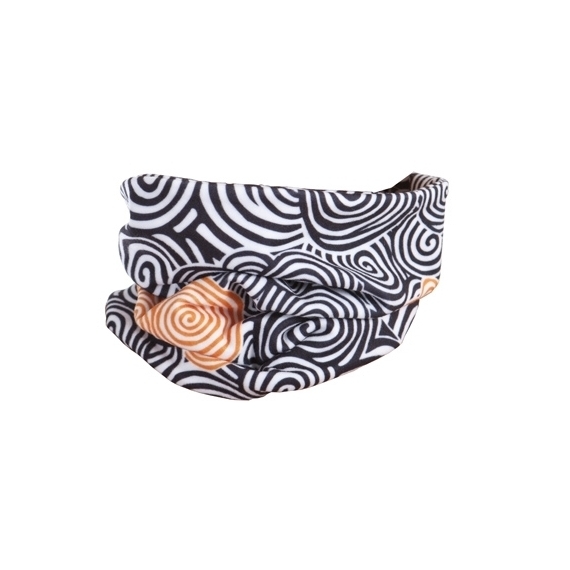 A circle scarf will protect you from the wind and emphasize your personality. Together with a sporty sweatshirt, you’ll achieve a laid-back look. To be honest, though, whatever you choose to wear with it - you’re going to look great. When is a circle scarf indispensable? Whenever you’re planning outdoor activities in the autumn-winter season - a circle scarf is an absolutely necessary accessory. Even a stand-up collar doesn’t protect you well enough from the cold. 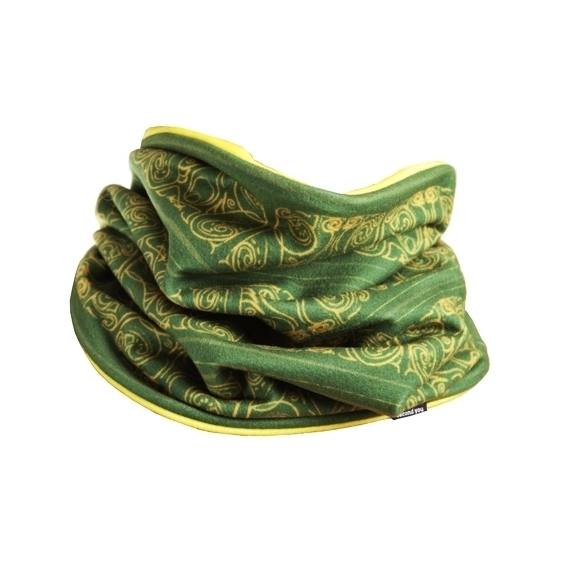 The elastic fabric that the scarves are made of fit ideally to your neck, keeping it securely airproof. How to wear a sports circle scarf? The circle scarf may be our favourite accessory - you can style it in so many different ways - as a scarf, headband or hat. You can match it with your tights or choose to go for a contrast. Each model is two-sided which means you always have two colour versions at your disposal. When you’re experimenting with your accessories you can try out many different versions of your style without having to spend a fortune on new clothes. Why are sports hats important? During intense exercise your hair may become slightly wet which combined with even the lightest of winds can make you fall ill. Additionally, the skin on your head has almost no insulating fat layer that could protect it from changes in weather. Even though it’s false that you lose 80% of heat through your head (not even half of that) but it is a sensitive body part that deserves all the additional protection it can get, like e.g. during outdoor exercises. When is it worth taking my sports hat with? Apart from workouts on windy days, you should remember to take your sports hat with you every time you leave the house in the autumn-winter season (and often even in spring!). If you go swimming regularly a hat is a must-have for you. Even if you’re wearing a swimming cap your hair can still remain a bit wet. Exposing them to the elements you’re risking your health. A hat removes all of those problems and looks quite good while doing it! Especially combined with a circle scarf with a similar pattern. All Second You hats are made of quick-drying and elastic fabric - that’s why they stay where they’re supposed to even during very intense workouts. Not to mention they’re incredibly nice to the touch! It happens to all of us. You were planning on washing your hair but the alarm didn’t ring, again? You’re already late and the kids just won’t get dressed? Being a working woman and a mom at that means being on your feet the entire time, that’s why it’s worth to work out some tricks that allow you to save some time (especially in the mornings!). Our soft Second You hats will help you when you need to cover up a messy hairdo. Every model is two-sided so that you can match the colour of the hat with your outfit.